Recently, three Muslim sisters from Iraq and an Egyptian family came to DOW’s new Refugee Service Center in Dallas asking for help. They needed jobs and members of these two families were burdened with serious health issues. 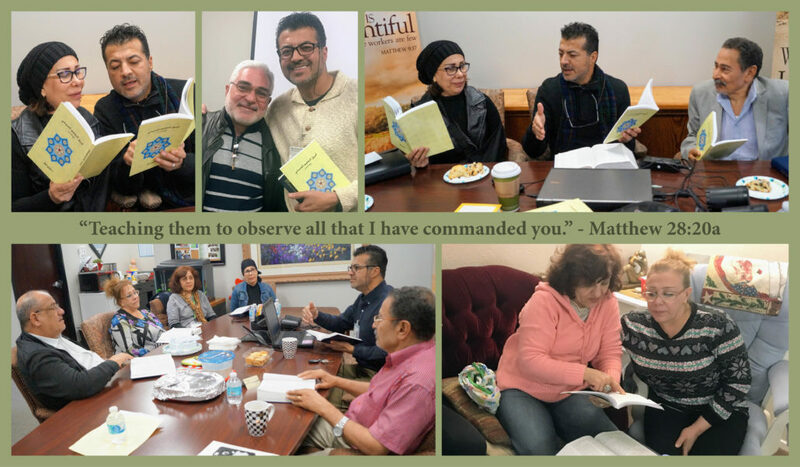 The Disciples of the Way’s Staff team helped them apply for jobs and prayed with them for their health and spiritual needs in the name of Jesus. Before they left the center, they each received a copy of the Arabic Bible and a Small Cat­echism. DOW thanks God for the Lutheran Her­itage Foundation (LHF) which generously provides us with Arabic Bibles and Catechisms. Our partnership with the LHF has blessed DOW’s ministry of the Gospel to Muslims in a very meaningful and theological way. The teaching of the Ten Commandments, the Creed, and the Lord’s Prayer are essential to the Gospel. Each of these are profoundly and simply explained in the small catechism. Salvation by Faith Alone, because of God’s Grace Alone, in Christ Alone confirms to Muslims the centrality of Christ who was crucified for the sins of the world and then rose from the dead for the hope of all who believe.